All PIY (Pay It Yourself) guide fees are non-refundable. If you must cancel the trip, fee will be credited toward a future Authentic Moto Travels Trip. PIY trips are financially entirely your responsibility. This is NOT an organized, ‘no thinking involved’ tour but rather a group of great people and good riders who are led by a team experienced in Mexico. There is a max of 10 Motorcycles (Plus one or two leaders) on the trip. We will be joined by Mexican Riders on and off throughout the trip. What this means is that it’s entirely A La Carte. Nobody is putting their kid through college on the profits. There will be no chase vehicle or spare bike. It’s all you, your attitude, wits, credit card, pesos, and authentic experience. Here’s how we run the trip. If you’re cool with this, we’ll all have an amazing ride and lifetime experience. Hotels. You can have a single room, if you wish. You simply have to pay for it. It’s much wiser, however to choose a friend, with a similar temperament, and split the cost of the room. You will decide that amongst yourselves. The hotels will not be crazy expensive, but some, in certain cities will be a bit pricier. We’ll make the reservations ahead of time. Please indicate if you are bringing a passenger or wish to share a room with another rider. Meals. In order to not drive the restaurant staff crazy, we will put everything on one check and split it evenly, including tip, amongst the group. Drinks. During meals, will be part of the meal check. Otherwise, you’re on your own. Tolls on Toll Roads. One person will pay for the all the riders at once to keep it easy. At the end of each day, we’ll tally up the tolls and collect it from each rider. Passengers. Totally welcome. Just be absolutely certain there will be ZERO DRAMA AND COMPLAINING with your passenger. In other words they have to be pretty cool. They are also welcome to fly in and out to join or leave us at certain spots. Let me know so we can arrange a stop at a nearby airport. Type of Bike. We’ll be on paved roads for this trip. Any bike will do. Some bikes do a little better than others. A dual-sport or other bike with more suspension travel is preferred. That said, you want to be comfortable and have a reliable bike with good tires, first and foremost. That doesn’t mean a detour or deviation will not be on hard packed dirt or gravel. There will be an opportunity to ride some awesome dirt trails at the convention in Michoacan. Just remember it’s totally on you. There will be a BMW dealership at the convention and along the way offering minor services such as oil changes and tire changes. Type of Riding in Mexico. The pace is a lot quicker than in Mexico than in the US. We also are free to split lanes and filter at lights. We will stop regularly for everyone to rest, fuel up, and gather. This is about enjoying your ride and you should and must ride at the pace you are comfortable at. We will NOT leave anyone behind. Tracking for loved ones. An Authentic Moto Leader will carry a Delorme (Garmin) InReachSE that provides real-time satellite tracking of our group so loved ones can follow along and wish they were on the ride. Friends and family can follow the journey live and in real-time via a link. Costs. Factor about $100 USD a day and you’ll come in under budget or have plenty of money to bring premium tequila back to the states. The Michoacan Convention costs $230 (approx.) USD. Many meals and drinks are included. They will be giving away at least one premium BMW or Ducati Motorcycle. If you win, you’ll certainly have some new BFF’s. Also factoring the $600 guide fee, plan about $2500 USD total for a 20 day riding trip in Mexico. (Try that with an organized tour) You will almost certainly come in well under budget. I will give them a list of names and shirt sizes so we are pre-registered. You can pay in cash (pesos) ($3900MN) or Credit Card. This is per person. We’ll also like to create Shirts for our riding group. The cost will be between $25-$40. It’s a fantastic ice breaker at the moto convention. Everyone needs a valid US Passport. Credit Card- to put a $200-$400 Deposit on for the TVIP (Temporary Registration). It is returned when you check out of Mexico. ATM Card- Notify your bank of your Mexico Trip. Motorcycle in excellent running condition with good tires. Please make sure you have over 50% of the tread on them. Mexican roads and a more spirited pace will wear down tires about 50% faster than in the US. If you have AT&T or T-Mobile for cellular service, make sure your plan includes Mexico at no additional charge. You can also get pre-paid TelCel SIM cards for your unlocked phone. As the name states, Nearly-All Inclusive includes Guide, Lodging, Dinner each night, Tolls and Special Events specified in the product description. What’s not included is Mexican Motorcycle Insurance, Optional Travel Insurance, Breakfast, Lunch, After Hours Partying, Extra-Cirricular Activities. For this, you’re on your own. Meals. In order to not drive the restaurant staff crazy, we will put everything on one check and split it evenly, including tip, amongst the group for Breakfast and Lunch. The Fine Print. Please read the details. Authentic Moto Travels does not assume responsibility for bodily injury, for damage, nor loss of any personal effects. Please consider the purchase of travel insurance which covers personal injury; accidents and illness; trip cancellation; and loss, damage, or theft of luggage and personal belongings. 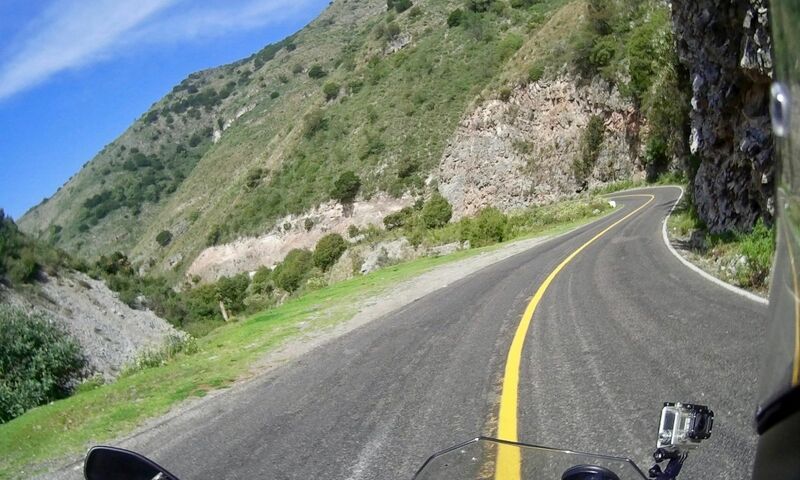 Authentic Moto Travels acts only in the capacity of agent for the tour members in all matters connected with transportation, accommodations, or auto rental. No liability shall be incurred by Authentic Moto Travels for delay, loss, damage, or injury to person or property while a passenger is using the facilities of an airline, train, steamship line and/or other transportation line. The right is reserved to decline, accept, or retain any participant on the tour. Authentic Moto Travels are not obligated to replace a damaged motorcycle. A tour participant’s motorcycle may be secured should the rider not comply with local traffic laws. The right is reserved to alter the itinerary at any time for the convenient operation of the tour; also to substitute hotels, date of departure or return, or withdraw the trip if deemed necessary at any time, for any reason. The issuance and acceptance of receipts, tickets and vouchers shall be deemed to be consent of the above conditions. All prices are based upon tariffs and exchange rates existing on the date of this postings and are subject to change without notice.